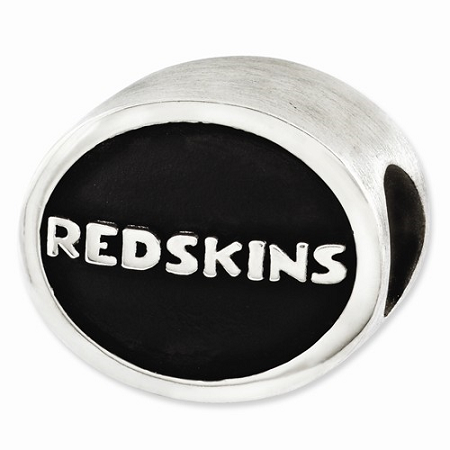 Sterling Silver Enameled Washington Redskins NFL Bead: In length of 10 mm and width of 11 mm, sterling silver bead is reversible. It has purity of 925 and opening diameter of 3 mm. Solid bead is Silver/White in color.